Tapestri is a precision genomics platform to support the discovery, development, and delivery of precision medicine. 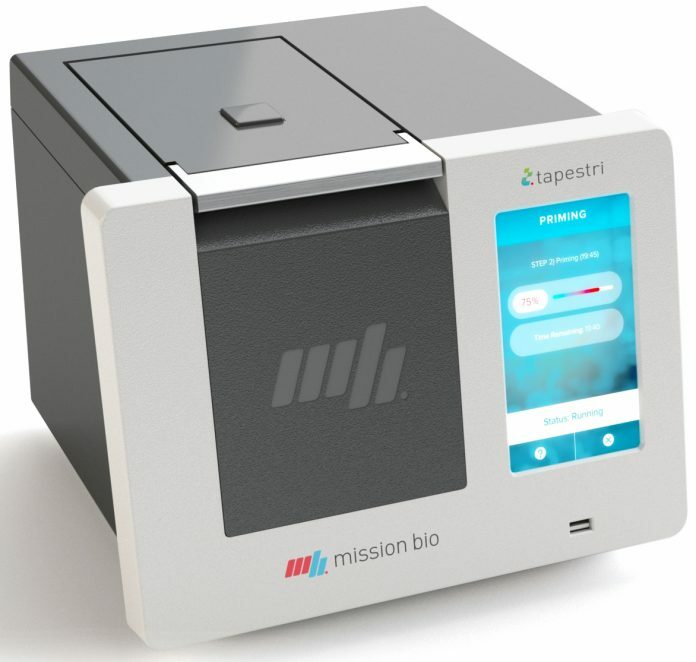 The Tapes­tri platform leverages proprietary droplet microfluidics to provide high-throughput single-cell DNA with a novel two-step pro­tease workflow. This methodology provides flexibility for additional applications and customization capability. The platform plugs seamlessly into existing next-gen­eration sequencing (NGS) workflows and includes the instrument, consumables, and software for downstream analysis. Its first application in acute myeloid leukemia (AML) targets 19 genes with 40 amplicons, single nucleotide variant (SNV) and indel mutation detection.